The advance tracking for Aquaman correctly predicted it would be a hit. But no one could have guessed that it would be a billion dollar blockbuster and surpass The Dark Knight Rises‘ international box office. Now, work on the sequel is about to get under way. 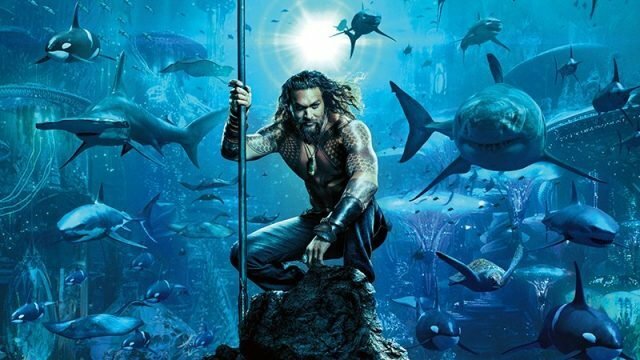 According to The Wrap, Warner Bros. has lined up Aquaman screenwriter David Leslie Johnson-McGoldrick to write a treatment for the sequel. Johnson-McGoldrick co-wrote the first film alongside Will Beall, from a story by Beall, Geoff Johns, and James Wan. Johnson-McGoldrick’s previous credits include The Walking Dead, Mob City, and The Conjuring 2. THR notes that Wan is currently making his own deal to return for Aquaman 2 as an executive producer alongside Peter Safran. However, it’s currently unclear if Wan intends to direct the sequel as well. Because Aquaman was so well received, Warner Bros. is already looking at ways to expand the franchise. Last week, word broke that Noah Gardner and Aidan Fitzgerald are writing a spinoff featured around the Trench. Within Aquaman, the Trench were the feral humanoid sea monsters who attacked Arthur and Mera near the end of their quest. Wan and Safran are reportedly producing The Trench as well, but no Aquaman cast members are expected to return for that film. Are you excited to hear that one of the Aquaman screenwriters is coming back for the sequel? What do you want to see in Aquaman 2? Let us know in the comment section below!